Before the invention of the airplane, the fastest moving vehicle on the planet was an ice boat. 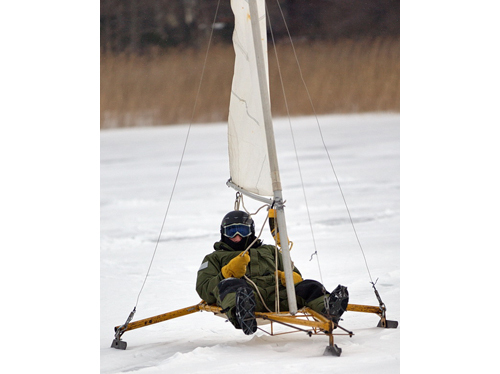 Ice boats can fly on solidified water. All it takes is a stiff wind, a flat ice surface and an adventurous soul.